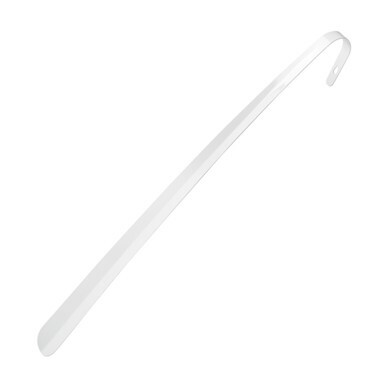 This durable 24" shoe horn is made of epoxy coated steel. It has a easy to grip "J" hook at the top with a handy hang-up hole. Makes it easy to slip shoes on without straining your back!